I have a copy of this, only mine is green. Anyone else? I bought it mostly for collecting purposes but when i played it i realized that it is indeed an audiofile pressing. A perfect copy if you want to replace an old used one. Very nice sounding pressing of this LP. The RED vinyl is also a nice color and mine came pretty clean and free from faint markings. No one else notices the tracklist is misprinted on the cover? The track Trash plays before This Maniac, but is listed after. 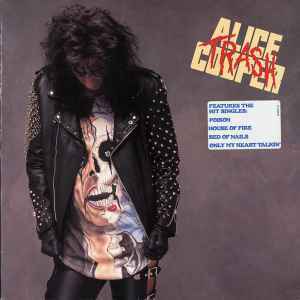 One of Alice Coopers best releases; an almost "Best Of..." right here. Great quality sound with no fuzz too. This album really lives up to it's name. I would feel guilty selling this. Ver. 2: EK 45137 on CD. Matrix: EK-45137 MFG BY CINRAM #P91006FF. I think correct label catalog number should be 25-8P-5278.